After a couple of years of phone and email communications (and a guest post), today I finally met up with Josh Bersin (and his colleague Allen Keetch). Josh is in town for the Learning Technologies conference on Wednesday and Thursday, where he’ll be talking about informal learning. Josh very kindly gave me a summary of his key points. The recession of 2000 catapulted e-learning forward as organisations rationalised their training and moved more on-line. The current recession has kicked off informal learning. At the same time, we have access to new social technologies. These two factors have collided giving rise to a revolution in informal learning (Josh sees this as consisting of on-demand, social and embedded learning. Trainers and instructional designers have always known that informal and social learning is the way people learn, but they’ve not spent any time on it. They’ve tended to see their job as the formal stuff. They now need to take on new disciplines, move to a new design paradigm and change their instructional design models – putting elements of social media into every development programme. Social learning is a good thing for the learning / training industry, but it’s forcing practitioners to rethink – they’re past talking about what it is – but they’re still working out how they’re going to apply it – what’s their job – and whether they will have a job. But it’s a bit like the rise of e-learning again. L&D practitioners who ignored e-learning tended not to get involved. It’ll be the same with social learning – practitioners need to get with it or they’ll become more irrelevant. But why would someone read a blog? After meeting Josh, I had another meeting and talked about this blog. My contact responded that he’d read a blog once, but obviously wasn’t sure why he had, as he then asked “so why would someone read a blog?”. Now, admittedly this person’s not in L&D, but he is a fairly high profile figure in the UK HRM and D world, and I don’t think his reaction was that different from that of many HR and L&D practitioners that I meet. Perhaps this a difference between the US and UK, but whatever the reason, I don’t feel as positive about L&D’s sponsorship of social learning as Josh (or other speakers at the conference like Jane Hart). And I think lack of understanding and involvement in social media is part of the problem with this. So ’d encourage L&D (and HR) practitioners who want to get on top of social learning (and social HR) to get involved in using social media for themselves – it’s by far the best way to learn (mind you, I suppose the people this point applies to won’t be reading this anyway!). In Bersin’s recent report, ‘Enterprise Learning and Talent Management 2010’, Josh and his colleagues discourage L&D practitioners from acting on their own. Social learning systems need to link with, align with and be integrated with those systems chosen by IT. I think there’s a bigger issue than this too. Social learning needs to link with other changes in the organisation. It’s part of a more social way of behaving, of thinking, or working. Learning – HR – Management – Enterprise 2.0. So my advise would be not to start with learning – but with the need to be more social (nb meaning to focus more on relationships, not spend more time in the pub!). See my Social Advantage blog for more thoughts on this. Learning & Skills Group members can also view my Learning Technologies presentation from a couple of years ago at http://www.learningandskillsgroup.com/iptv.cfm – see under LT 2008 track 3. Actually, there’s just one more thing resulting from the HRD Business Summit that I want to write about. I think this (‘idea generation’) is absolutely the right role that advisors (consultants) should play. And I’ve been reflecting further on my call for more insight in HR, and also my recent post on my own role and I want to write more about how I can act as your advisor to help you generate ideas. This is likely to turn into a bit of an advertorial I’m afraid, but there are two reasons why you should stick with me. The first reason is that although I increasingly receive revenues from writing, training, lecturing, speaking etc, advising (consulting) is still the main part of my portfolio. Blogging, on the other hands, generates almost nothing (although if you’re interested in sponsoring this blog, click here). So if you like this blog, it’d be worth scanning through the rest of this post, and thinking about the opportunities for consulting on strategic HR (creating and updating HR strategies, developing the strategic capabilities of your HR team, support on strategic programmes – in talent management , organisation development etc) within your organisation, or within your network. More consulting = more blog posts, simple as that! I have what I think are some fairly well developed ideas about HCM and HR / management 2.0 – about how organisations can develop human and social capital for competitive advantage. And I happen to think that these are some of the best, new ideas around. You can read about these ideas, and about case studies of organisations that are starting to put them into practice, on this blog. But in a consulting or training environment, I can provide that much more. And please note that this doesn’t mean that I would try to do strategic HCM to you. It simply means that we could have a look at the aspects of HCM or HR 2.0 which could add value to your organisation, and work on the activities that would bring benefits to you. This might be looking at your capabilities, or your management model, identifying the practices that will create human capital, developing a strategy map or measurement scorecard, training your HR team (eg in the HCI HCS programme), or a number of other things. But I can help you understand other peoples’ thinking and approaches too. I attend and present at conferences and webcasts, I travel and talk to people from different countries, I read and write books, I read and contribute to journals and magazines, I write and read blogs, I listen to and produce podcasts, I train HR teams, and I consult on strategic HR with leading organisations around the world. I do all this so I can give you the broader insights that I think you need. So in my last post, for example, I provided a list of thought leaders that I’ve reviewed previously on this blog. My understanding of these ideas means that I can bring these into the generation process too. This is something I don’t think many idea generators will do. If you bring in Ulrich, he’s going to do Ulrich, you know the sort of thing. He’s not going to do Cappelli, if he thinks that’s more what you need. But of course, all of the above is just background. It’s what you need to do that counts. The real value you get from me isn’t HCM, and it’s not other’s peoples’ ideas, however appropriately provided. It’s ideas about how you could develop your agenda in a way that’s unique to you – depending upon your objectives, context etc. Your needs. This is what I most love working on, and I can’t do it through a blog. So if you really want to maximise the value you get from me, call me in. And let’s get generating. The last area I want to discuss in my summary of the HR Directors Business Summit is the need for new insights in HR. I think this push back against new ideas is a bit sad actually (I could see Tiplady’s 19th century policemen resisting progress in the same way – and look how far we’ve come in that profession). I completely support Ulrich’s point that HR is provided through line management, and that our people’s experience of HR is mostly down to to the way their manager line manages. But even if we could do something to get every line manager to spend time with, be interested in, support and grow their people, there’d still be a need for more. Even with the best line managers in the world, there’d still be a need for HR professionals to develop strategies, tailoring these approaches in the right way according to their own business (their own capabilities, their own management models etc). If you’ve got the wrong strategic approach (and let’s face it, in this area at least, most organisations don’t have much that’s right) then the best, most pragmatic execution in the world, isn’t going to get you very far (at least down the road you want to go). On this blog, you’ll find new ideas from Dave Ulrich on leadership brand and HR transformation, John Boudreau on talentship / beyond HR, Henry Mintzberg on communityship, Lynda Gratton on hot spots and glow, Gurnek Bains on meaning, Gary Hamel on management innovation, Peter Cheese on talent powered organisation, CK Prahalad on innovation at the bottom of the pyramid, Peter Cappelli on talent on demand, Jac Fitz-Enz on HCM: 21 measurement, John Kotter on a sense of urgency, Ed Lawe on talent-centricity, Dicky Beatty on differentiated workforce, Tony Buzan on mind mapping, Andrew Mayo on HCM measurement, Nick Baylis on happiness, Emmanuel Gobillot on leadership, Jim Collins on greatness, David Guest on HR measurement and many more besides. Some of these ideas I agree with and some I don’t. Some of them agree with other ideas but most of them don’t agree with all. Ed Lawler’s and Peter Cappelli’s ideas on talent for example, are very different things. This is important. If you’re going to optimise the strategy you develop for your business, you need to understand these ideas, and know which ones best fit your particular organisation’s needs. And you need to be on the look out for new ideas which can help give you additional competitive edge. It’s time for new thinking. It’s time to take note of new ideas. Talking of time, I’ve now run out of time to post on anything else from the HR Directors Business Summit! But thanks to Tim Taylor from TUI, Allison Campbell from Bacardi, Stefan Tonnon from Progress Software and Jacqui Summons from Intec for your time, and for sharing your own ideas and experiences with me. It’s much appreciated and I hope I can return the favour some day. Master the new business science of strategic talent management, and prove your expertise with HCI's Human Capital Strategist (HCS) Certification. HCS is the recognized credential for strategic knowledge in the Human Capital field and is an important career achievement for Human Resources, Organizational Development, Recruitment, Corporate Learning and Line executives. Talent is the only sustainable advantage in a global knowledge economy, and integrated talent management strategy and practices are now central to business results. HCS provides the foundational framework, practical application and tools to move the needle in your organization and career. Human Capital Strategist (HCS) Certification and Master HCS Designation programs are available for teams of up to 20 participants onsite at your facility. Curriculum and content are tailored to your organizational objectives, and training is delivered at a significant discount to the cost of public classes. Managers and organizations are accustomed to thinking about people in industrial economy terms, and within the bureacracy of organizational silos. HCS graduates understand the knowledge economy paradigm of integrating talent management leadership and practices across the enterprise. 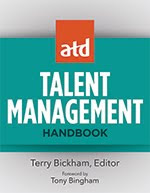 Strategic Human Capital and Talent Management span recruitment, HR, OD/Learning and the Line. HCS graduates understand each practice across the talent lifecycle, and have the context to think strategically beyond the confines of their own traditional discipline. Human Resources and related disciplines must learn to communicate in the language of business. HCS graduates understand the vocabulary of business strategy, how human capital drives business success, and how to create value through their knowledge of strategic talent management. The business science of Strategic Talent Management has moved out of the theoretical stage and into the field. HCS graduates go back into their organizations with proven best practices, new ideas and the tools to implement and measure them. Administrative HR and related functions are being commoditized, outsourced and offshored. The future belongs to professionals who can demonstrate strategic capabilities and value to their organizations. There has never been a better time to change the game in your career, by taking a leadership role in this critical new discipline. Talent is the most powerful competitive lever in a new economy characterized by rapid change, accelerating product cycles, decelerating prices and worldwide disintermediation. HCS graduates are at the cutting-edge of this inflection point, and are leading the transformation to talent-driven business execution inside their organizations. HCS is a rigorous course of study, recognized by business and government organizations worldwide as the standard certification for Strategic Talent Management. HCS graduates are the first wave of leaders that understand, and can apply the principles of this new science to drive business results. Rapid change requires continuous learning. HCS graduates are plugged into an ongoing stream of news, information, research and collaborative opportunities through alumni groups and HCI's Center for Human Capital Excellence. HCS graduates are eligible to pursue HCI's Master Human Capital Strategist (MHCS) Designation, a distinguished achievement recognizing practical application of Strategic Talent Management principles. HCS candidates can now purchase the HCS and MHCS programs together and save over $200 on the bundle. 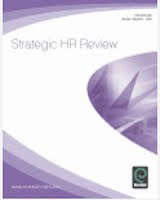 If you're in UK / Europe and you’d like more information on this programme, or other support to develop the strategic capabilities of your HR team, please contact me at jon [dot] ingham [at] strategic [dash] hcm [dot] com. Things have changed. Knowledge rather than financial capital is now the scarce resource and this means we need to focus on creativity and innovation rather than replicability. But management hasn’t changed – we need to innovate it. A company’s management model (as opposed to its business model) may be the best place to innovate. There’s lots of opportunity here, because most organisations don’t think about whether their management models are appropriate. So Lehman’s management model and practices for example incentivised the employee population there to do exactly the wrong things. They lapsed into things that didn’t work. We need to be clearer about what our management models are and change our concepts about the way large industrial companies are organised. But management is still associated with the concept of management in a hierarchial corporation. We need to sever this link. Removing clutter (eg when organisations strip out performance management systems most people figure out what they should be doing). 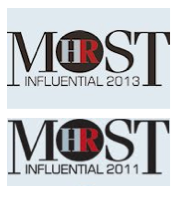 In Birkinshaw’s (and my) perspective, HR Directors are the people best placed to enact management innovation. What are you going to do about it? I’m going to be interviewing Julian about his new book, Management Experimentation, in mid-March, so watch out for a post on this too. I had a chat with Thomas Stewart after his keynote at the HRD Business Summit on Tuesday. We first discussed how his organisational capabilities relate to David Ulrich’s. I explained that, to me, his capabilities seem quite like Gary Hamel’s and CK Prahalad’s core competencies. For him, the two ideas are different because his have more focus (‘they talk about 20 to 30 core competencies’ – and ‘they don’t think in terms of systems’). However, Stewart did agree that his capabilities are different to Ulrich’s, and this is because his own definition includes people and other things – although he also thinks Ulrich’s work on Leadership Brand comes closer to his own approach. Mmm. Maybe. But I still think the analysis I provided in my last post is correct. 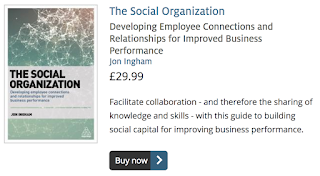 Secondly, we talked about examples of organisations’ capabilities which focus specifically around relationships between their people, ie social capital, and I’ve posted on this part of the discussion on my Social Advantage blog. Paul Kennedy from New Balance described the capabilities of this UK based manufacturing firm as its external relationships with customers (as well as sports people, the military and so on) which allow it to directly replenish stocks and customise orders etc. To develop these deep relationships externally the company needs good internal relationships with its people too. Kate Griffiths-Lambeth White & Case described the capability of White & Case as specialism in international legal issues supported by experience in multijurisdictional issues in numerous legal systems. This specialism makes recruitment more difficult, as does the company’s fast growth taking it to 600 lawyers in London. So this has meant more focus in this area – looking for more people with the specialist skillsets required. And also specific actions in other areas too, for example one of their award winning benefits is health screening – given the risk of skin cancer for those people who have been working in places that get a bit more sun than here! Misty Reich from KFC described Stewart as a ‘kindred mind’ and her own company’s strategy as well aligned with his thinking on capabilities. Her point in particular is that HR strategy needs to match the stage of growth your company is in. KFC UK has 22,000 mostly hourly employees (it is part of Yum Brands with over 1m employees) and has 782 restaraunts which is growing by 30 to 40 restaraunts per year. This means its main capability is being great at recruitment (or, since this is an activity, not an outcome, something about having the people available enabling it to grow). Expectations are changing –“Gen X / Gen Y doesn’t know who to interact expect through technology”. And it will get to a point that it will be awkward to turn off technology when wanting to explore employment. But companies don’t currently make good use of this. We’ve been recruiting online for 15 years and 78% of Uk employers now use corporate websites and 29% use commercial job boards for candidate attraction (but mainly just for perusal not online application ie there’s no power behind this). And only 7% use social media for candidate attracting and networking – people don’t know what to do about social media. So this has provided KFC with an opportunity to gain a competitive edge. They have brought recruitment back in-house and made people experts in recruitment, supported by technology. One of the other things Tommy Weir talked about was the need to be sensitive to status issues. That in the Middle East he allows his bags to be carried by someone for example, so as not to be seen as inferring that he’s unworthy to have his bags carried for him. And I also thought it was interesting that he was referred to in the agenda as simple Tommy Weir, whereas in the UAE, I’ve only ever come across him addressed as Doctor Tommy. This got me thinking further, particularly when I wanted to refer to him again later in my post – ‘Tommy suggested’? ‘Weir suggested’? ‘Dr TW’? I quite often struggle with this one in my posts. And I’ve noticed that I’ve tended towards first names for people that I’ve met (face to face or by 2.0), and second names for who I’ve not. But then there’s a whole heap of other factors that influence this too. Even after my meeting with him, Thomas Stewart still seems like a Stewart than a Thomas because he’s a bit older than me, and has published more, and more successful, books. In general, I prefer first names (I still feel uncomfortable when recalling my American boss who called me Ingham to my face) but then this may just be me. Do you have any guidance here? Which do you prefer? Do you care? Let me know if so. Matt Alder (recruiting futurologist, who I met recently at a Changeboard event, and will be working with again soon at TRU London 2) presented on social media and the connected organisation. Social media is changing the way people buy things, the way they complain, and the nature of brands (“it’s like word of mouth on steroids”). 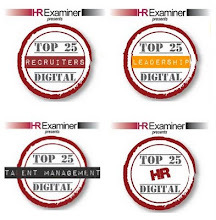 It’s changing corporate communication, recruitment and other HR practices. In fact, it affects every area of your organisation – the opportunities are enormous. So it’s a strategic issue, not a policy one (although having an appropriate social media policy is important too). And the threats of not participating significantly outweigh the threats of doing so. In response to my question, Matt explained that in his view, one new challenge for leadership in this environment is about responding to the connected generation (Gen Y) who are used to using these new social channels. This requires leaders to understand the opportunities provided by the new techniques which are fuelling these generational differences. For more on social media and the connected [social] business, see my other blog, Social Advantage. And for comments on leadership in this environment, see my reviews of Emmanuel Gobillot’s two books. Tommy Weir (VP of Kenexa’s Leadership Solutions and author of CEO Shift who I met at his former employer, Nakheel, on one of my trips to Dubai, and is pictured above) presented on what expat (and local) leaders need to understand about leading in emerging markets. Leader vs employee-centric (patriarchal societies in which an elder person has more status). Things aren’t necessarily going to be at your finger tips – you need the ability to connect different piece of information (think about the imagination needed to create the man-made islands in Dubai. You need to know how to hold onto your talent. Matt’s connected generation are used to pressing the reset button when playing computer games – and they have similar expectations in organisations too (in both developed and emerging markets). Just because we’re all talking same language doesn’t mean we have the same understanding. Promotions are having to take place at a very early age (either because this is the only way to sustain growth, and / or because this is the expectation of the new workforce). This increases risk – leaders need to be able to get talent developed faster – by starting earlier / condensing development or mitigating the extra risks. There are some opposing trends too. Tommy suggested leaders in emerging markets need to have abilities in navigation – they need to be expert in giving direction in an ambiguous environment. In the social world, leaders need to avoid giving direction, and enabling the workforce to make decisions for themselves. So how do you handle leadership in social and emerging businesses? There are no easy answers to this one, but it’s clearly possible as I think social media’s developing nicely in the UAE at least (see my interview with H2.0). John Mahoney-Phillips (Global Head of Human Capital at UBS, who Sandy Campbell introduced me to briefly quite a few years ago) referred to this difficulty in predicting leadership requirements as one reason why traditional ‘9 box’ approaches to performance and potential have significant problems, and also why many organisations aren’t getting huge returns on their investments in talent. I’ve just got back from the last couple of days out at the HR Directors Business Summit in Birmingham, UK. I’ve got a couple of posts coming up but wanted to start with the role of capabilities which were a key theme in both Thomas Stewart’s opening, and Dave Ulrich’ closing keynotes. You know Ulrich, but might not know Stewart. He used to be editor of Harvard Business Review and has written two very insight-packed books, ‘Intellectual Capital’ and ‘The Wealth of Knowledge’. He now works as Chief Marketing and Knowledge Officer for Booz & Company. I’ve long been supportive of Stewart’s writing – and included one of his quotes in my HCM book (pictured above). Ulrich emphasises that capabilities are outcomes – which provide a more appropriate focus than activities. But I think both speakers would agree with each others’ descriptions. Beyond these points, however, Stewart and Ulrich mean quite different things. Share mindset: Culture change, transformation, firm identity, firm equity, firm brand, shared agenda…. These capabilities are really just about people (or at least the ‘organisation’ – rather than the ‘business’). And I think that’s what they should be. People really are the ‘source of essential – as opposed to transient – advantage’. They are ‘our most important asset’. They are the providers of our organisations’ capabilities. Of course, the people focused capabilities need to be supported by the right processes and technology. But in my view, we should select our capabilities based upon our people, and then worry about getting the right processes and technology, not mixing these all up beforehand. My support for Ulrich’s form of capabilities is why I focus so much on human, and on social, capital – which I think are the two most important aspects of capabilities. Where I disagree with Ulrich is his view that capabilities are “what line managers think will make the company successful”. Ulrich uses talking to his children as an analogy for this. If he says ‘clean your room’, they say ‘get out of my room’ and the conversations doesn’t go anywhere. You can’t impose value on someone. I don’t get the analogy. You can’t impose room cleaning on your children (I can’t on mine anyway) but you can educate and incentivise them to want to do this for themselves (OK, that’s the theory anyway). HR can educate business leaders and managers too. It can propose certain capabilities to the rest of the business, it can explain how these capabilities would create value for the business, and it can identify the actions that can be taken to develop the capabilities which have been agreed. HR can create value, as well as add it. And it’s by creating value, proposing these opportunities for competitive advantage to the business, that HR becomes truly strategic. Until this point, it’s still just a more up-market order taker. Tomorrow I’ll provide a little more on Thomas Stewart’s definition of capabilities (which I still think is extremely useful for HR to understand) - taken mainly from a one-to-one meeting with Stewart following his session. I’ll also be attending a seminar organisation by Kenexa, so I’ll probably be posting on that. Then there will be more posts reporting on and following on from the HRD’s Business summit going into the weekend. So keep tuned for more. I’ve been thinking about Tammy Erickson’s suggestion (which we discussed on Talking HR) that two jobs will increasingly become the norm. I had two jobs for a while myself – as early on in my current role as an independent consultant etc, I also worked part-time as a Director of Consulting for Buck / ACS. And I think this worked OK most of the time. So I’m wondering if it’s something I should look at again. What I think I’d really like to do is to work – part-time - alongside a senior, strategic HR / people / organisation leader who really wants to make a difference to the contribution that his or her organisation’s people provide. Why? Partly because it would give me the opportunity to make more, or at least a longer-term, impact than most of my consulting projects allow. And a bit more variety in the way that I work as well. (So it’s just a change of role / focus I’m interested in, rather than how the work is done, ie I’m not too bothered by whether it would be performed as a consultant, interim or employee – but I emphasise it would be part-time (a 2 days per week or 1 to 2 weeks per month sort of thing, and ideally done on a flexible basis too). Anyone interested? The benefit? Well, huge, I’d like to think, but it would difficult to be more specific until we discuss what the opportunities might be… The cost? Much lower than it would be for paying my consulting rates over several shorter periods. Location: anywhere. UK / Europe would make it easier to do, but somewhere else might be more fun – and we could still get together for discreet periods of a few days together, and for shorter periods over the web. Get in touch if you’d like to discuss. Well, I thought I did rather well in my interview by the Treasury select committee. And that little joke about my parents thinking I’m paid to much seemed to take the heat of a little (for now). But I’ve been thinking further about what I described to the MPs as my "biggest single business problem", ie recruiting people who are concerned about the criticism they might encounter if they work for RBS. And I’ve got to do something about this. Problem is – how? I’m going to get it in the neck if I go ahead and pay out £1.5 bn of bonuses next month. But if I don’t, my 22,000 investment bankers are going to walk. I’ve been deliberating over this and I’m starting to realise two things. 1. We are paying out an obscene amount of money. Particularly because RBS is owned by the public, and particularly because the profit we’ve been making is solely down to the bailout funding the government and therefore the public has pumped in. It’s taken me a while to see this - it’s difficult to be too concerned about the odd million quid bonus here and there when I’m on £9.7m myself. And I’ve come to realise that this is part of the problem. It’s down to a mistake that I made before I even joined the company – when I asked to be paid the going rate for a private sector job. Well RBS is in the public sector now, and in a very special situation too, and we need to start behaving like we understand that. And I need to take the lead. So tomorrow morning, I’m going to announce that I’m going to start working for £1 per year. It’s not going to be easy for me, but after all, with my years of working in investment banking, it’s a cut I can afford. And it’s going to be important to do if we’re going to make the changes that we need. I’m then going to ask the Board to do the same. And somehow, we as a team, are going to start encouraging our investment bankers to take some type of cut as well. I know I’m going to have to be careful on this, but there’s got to be a way to do it. We’ve just got to be a bit braver than we have been so far. Even if we only save 10% this year, then 20% the next, and even if it all goes to charity rather than remaining in the bank. I ‘m not sure how we’re going to do it yet, but that chap Roden will be able to sort it out (even if he needs a few good consultants to help). 2. This is even more important. I’ve realised that we’ve got ourselves into this mess. We’ve assumed for too long that the only way to motivate our people is to pay them big bucks. OK, to some extent, that’s true. After all, we’ve deliberately set out to recruit people who are only interested in money. And by treating the rest of our people the same, we’ve progressively made them more money motivated too. But it’s not sustainable. We pay up more and more, then more and more, as other banks do the same. It’s time to turn that around and reverse the trend. So we’ve got to re-educate our people that there’s more to working for RBS than a big cheque. We’ve got to show them that there’s something special about working here, something unique about this organisation, that gives them a good, non-financial reason to stay. I think we probably missed a trick when we set out our new group-wide strategy themes: 15% return on equity, top-tier competitive positioning, proportionate use of balance sheet risk, organic growth, and customer support. I’ve got to admit there’s not much in here that makes us look different or is going to get anyone excited. We need something new. Something that’s going to unite our people, and get them passionate again. Something that’s going to get them to stay with us, even if we’re not paying them so much. Something that deals with my "biggest single business problem". Something that helps the public understand that this is a “new RBS” and makes people proud of what we’re doing again. So I’m going to need to do more work on this, but I think it’s got to be something about innovating banking. Finding a new way of doing things, probably with different people doing them. We still need to focus on profit – and helping the public recoup its huge investment in the bank. But we need to achieve this in a different way. A way that has a bit of social conscienceness, a bit of soul. Perhaps we need to ask our people about this – get their ideas about what would make them proud. Perhaps you’ve got some suggestions too? I think the major theme of the show (which I hadn’t intended / designed) was that we (or at least I) do think things are going to start to change. This may be an optimistic hope (to use Alan’s words), but as Tammy Erickson says, ‘changes won’t settle in this year, but they’re coming’. Perhaps what we need most is some confidence to push the boat out a bit further than we have. To do, as Chris Ferdinandi says, some amazing things. Perhaps banks will even change their bonus policies next year! ?